Pathological substance use disorders represent a major public health crisis with limited effective treatment options. While much work has been done to understand the neuronal signaling networks and intracellular signaling cascades associated with prolonged drug use, these studies have yielded few successful treatment options for substance use disorders. In recent years, there has been a growing interest to explore interactions between the peripheral immune system, the gut microbiome, and the CNS. In this review, we will present a summary of existing evidence, suggesting a potential role for gut dysbiosis in the pathogenesis of substance use disorders. Clinical evidence of gut dysbiosis in human subjects with substance use disorder and preclinical evidence of gut dysbiosis in animal models of drug addiction are discussed in detail. 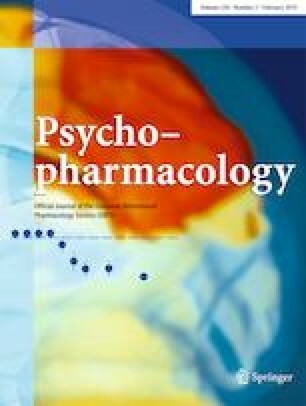 Additionally, we examine how changes in the gut microbiome and its metabolites may not only be a consequence of substance use disorders but may in fact play a role in mediating behavioral response to drugs of abuse. While much work still needs to be done, understanding the interplay of gut microbiome in substance use disorders may offer a promising avenue for future therapeutic development. This work was supported by NIH grant DA044308, a NARSAD young investigator grant, and startup funds from the Icahn School of Medicine at Mount Sinai all to D.D.K.